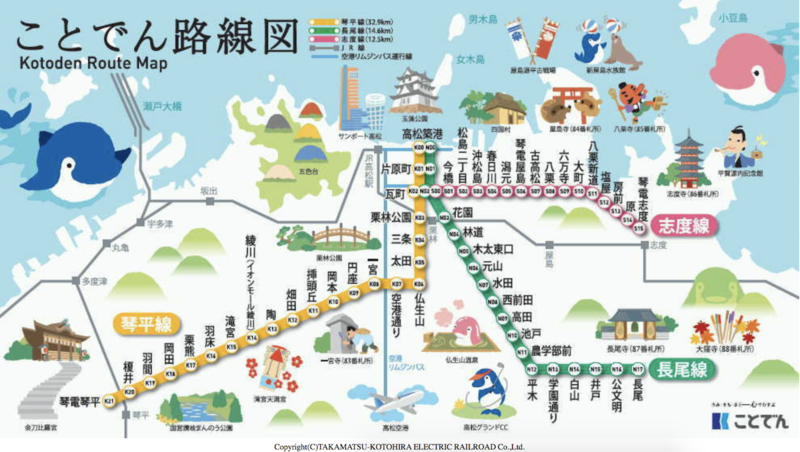 When traveling in Takamatsu, you will definitely use the Takamatsu-Kotohira Electric Railroad, which is operating for more than one hundred years. In Kagawa the citizen nicknamed the line: Kotoden. The Kotoden has three lines: Kotohira, Nagao and Shido. All the lines are radiating out from the center of Takamatsu city, Kawaramachi station, to other places in Kagawa prefecture. If you want to go to Bussyouzan Hot Spring, visit the shrine Kotohira-gu, look back to the history of Genpei War at the main battlefield Yashima or go to the famous temples of Shikoku Pilgrimage like Shido-ji, Nagao-ji and Ichinomiya-ji, Kotoden is the best way! The Kotoden one day pass will be your best friend to save money. Following an example of suggested itineraries. Morning, after waking-up early enjoy a walk around Nagao-ji, then have a taste of the buddhist temple cuisine (also called shōjin ryōri) which need to be reserved the previous day. During afternoon take the train to Kotohira station and try the ice cream, called Yumeiri Oiri ; the topping called Oiri is a traditional Japanese sweet. Now it is time to challenge the famous stone steps of shrine Kotohira-gū.After climbing 785 steps, you will arrive to the main shrine. 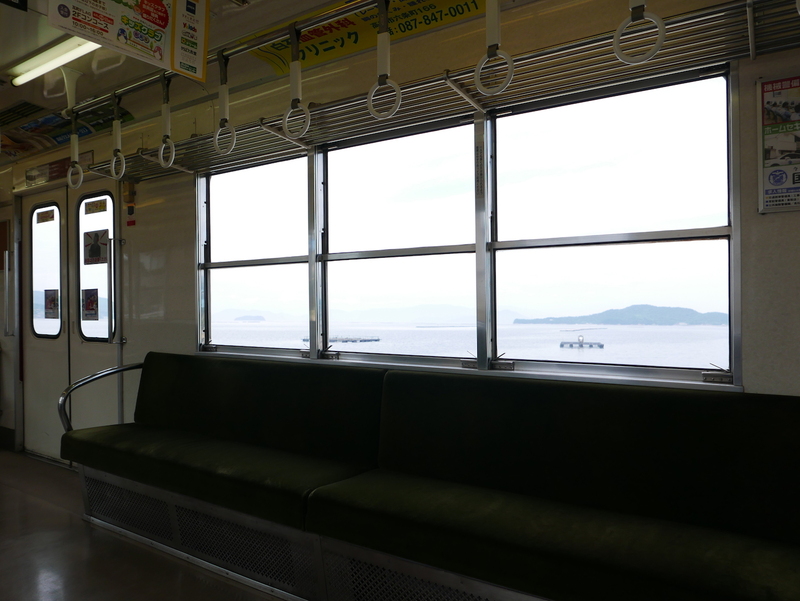 Do not miss the lookout point from where you can overlook Sanuki Plain and Mt. Ino. 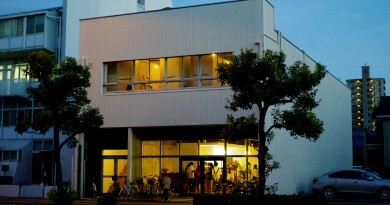 Before your way back to the hotel, get off at Bussyouzan station and relieve your fatigue by soaking in the hot spring. To realize this schedule you just need the one day pass ticket. One day pass ticket can be used on the three lines of Kotoden. You can find the time tables on the official website and arrange your own schedule easily. The Kotoden-Bussyouzan hot Spring combination set ticket is also quite popular among travelers. Besides the cheap price, the Japanese fan-shaped ticket is really cute. It is also helpful in the hot weather and will be a good travel memory. In the past, there were three operators for each line. The first line, Shido line, starts operating in 1911. In 1943, all the lines fusioned into Takamatsu-Kotohira Electric Railroad. Kotoden had bankrupted once in 2001. The new operation team did a survey to ask citizens “do you need Kotoden or not? “. The question’s pronunciation “Iruka -do you need? “sounds the same as “dolphin” in Japanese. So Kotoden choose a dolphin for its mascot to remind itself to become a company needed by citizens. 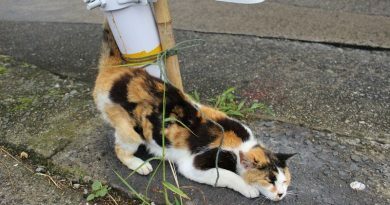 The mascot of Kotoden, named Koto-chan, is active as a station staff. 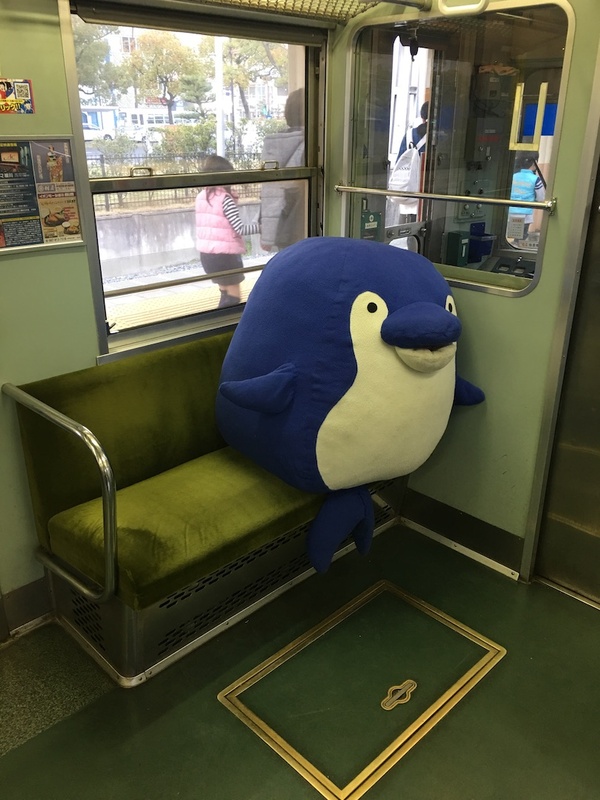 You can find his blue round body on the Kotoden’s website, IC cards, one day pass tickets, posters, events held by Kotoden and even more on the design of trains. In 2011, Koto-chan got married to his long-term girlfriend Kotomi-chan, a grand wedding ceremony was hold at Kotohira-gu shrine. Now, there are panels of Koto-chan family on the second floor of Kawaramachi station. Many travelers will stop in front of them and take a photo. Besides the Facebook page, Koto-chan has a Twitter account, goods, Line stamps and “gachapon” fascinating fans. People of all ages want to take the photos with Koto-chan and Kotomi-chan on the train “Kotochanhiyaku” operating only on weekends and public holidays. There are various goods about Koto Chan for example: pass cases, mugs, memo pads, tin badges, seals, tote bags and smartphone cases. 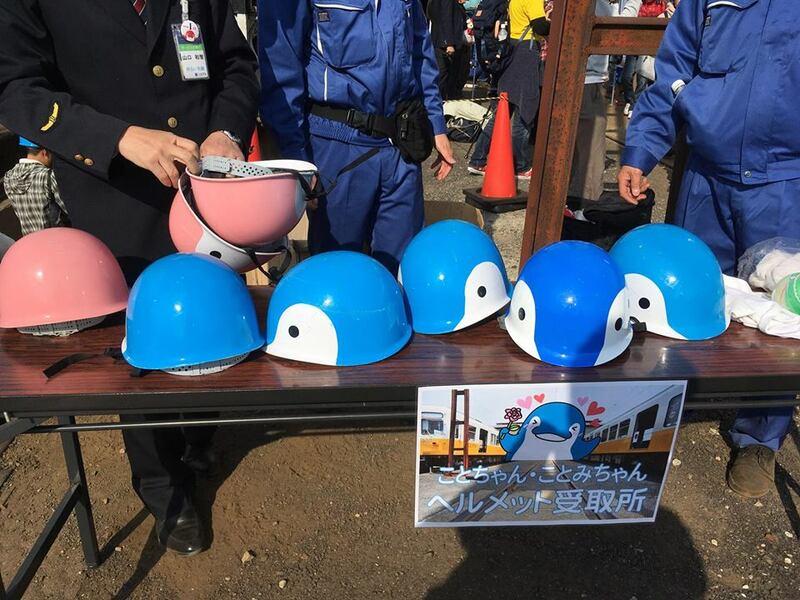 In 2017, the helmets of Koto-chan family were launched. These days, Kotoden pass through residences, shopping streets and green paddies in Kagawa. 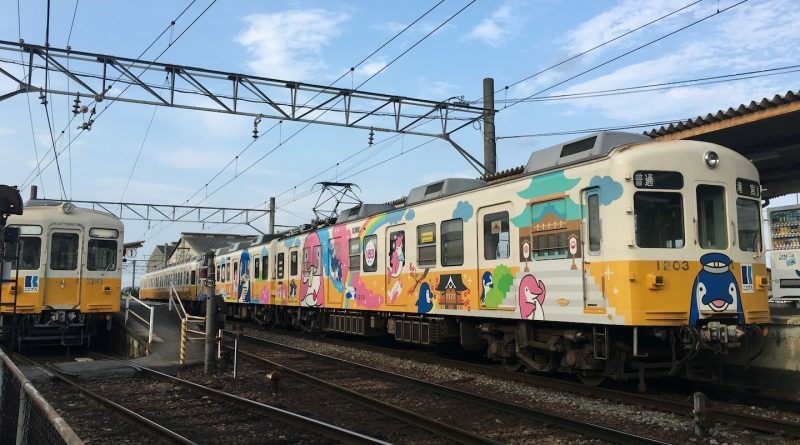 For many people that image is really different from normal Japanese railway’s image. Kotoden is close to the life of citizens and completely melts into it. 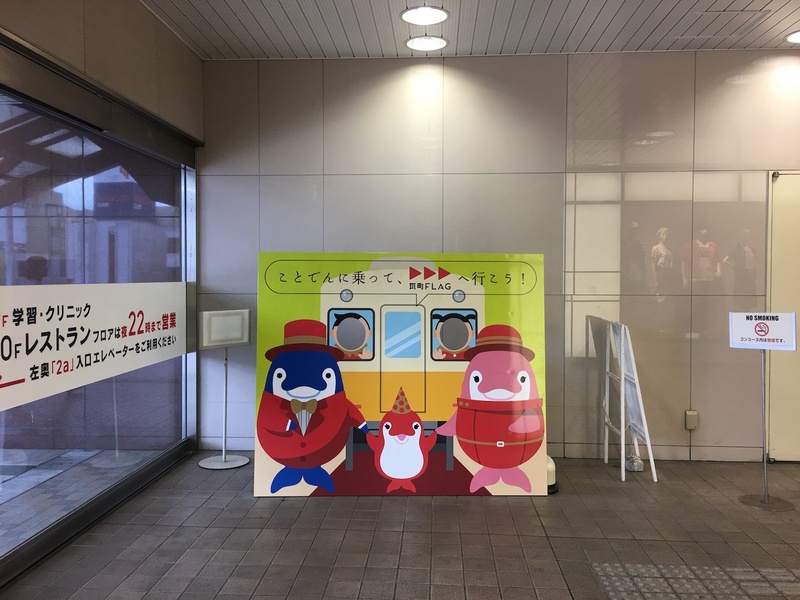 The IC card “IruCa” released by Kotoden can be used to take the Kotoden and get bonus points when you go shopping in the shopping streets. Since 2018 any kind of IC cards including Kitaca, PASMO, Suica, manaca, TOICA, PiTaPa, ICOCA, Hayakaken, nimoca, or SUGOCA can be used to travel in Kagawa. Do not forget your IC card next time you come to Takamatsu!